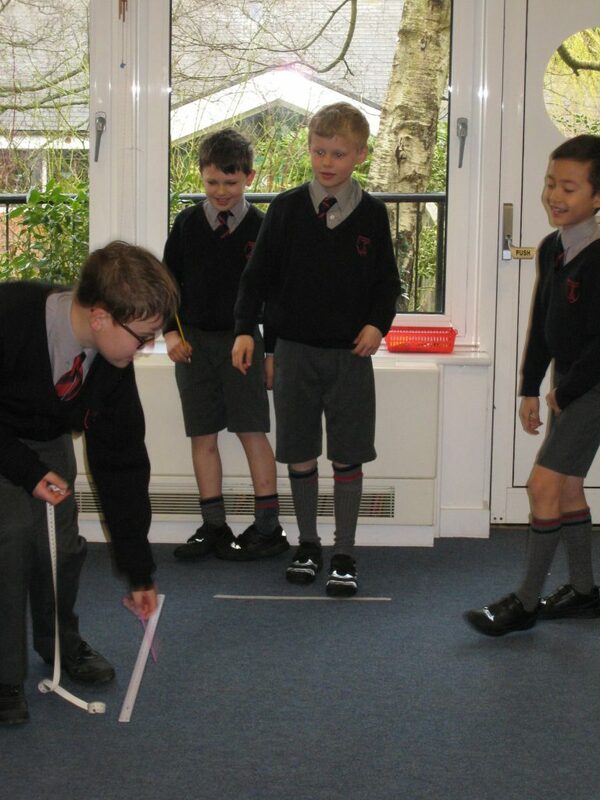 There was great excitement in the Junior School this morning as every boy tackled a variety of mathematical problems. Each year group began by completing a series of 5 spatial and numerical challenges including working with tangrams (Y4) and guessing mystery numbers (Y3). Afterwards the boys either became detectives in order to solve a murder mystery (Y4) or competed in a mini Olympics (Y3). Events such as the drinking straw javelin and cotton wool shot-put were particular hits! The boys discovered the importance of working logically, demonstrating excellent perseverance, resilience and determination to succeed. Thank you to Mrs. Yeats-Brown for organising so many Senior School boys to help throughout the morning. Their presence made the event all the more special.